Santander, one of the world's top banks by market capitalization, has announced plans to collaborate with IBM on the development of a series of native iOS apps to support a "digital transformation" of its business, assisting its bankers to create deeper engagements with clients. The new apps will be rolled out across more than 11,000 iOS devices among Santander's commercial network employees, who support Corporate, SME, Private and Retail Banking, as noted in a joint press release by IBM and the bank. The first new apps being developed in the partnership include "Achievement Overview," designed to "help branch office managers and territory supervisors monitor the most important achievement indicators at a moment's notice, in order to navigate through different financial objectives and performance metrics on products, clients or geographical areas" and "Easy Risk," which "gives operators mobile access to metrics for capital requirements and risk management. Managers will also be able to access risk policies and industry reports available in the bank, as well as the latest news and reports of the macro environment." Santander has 125 million banking customers, 12,200 branches and 188,000 employees. 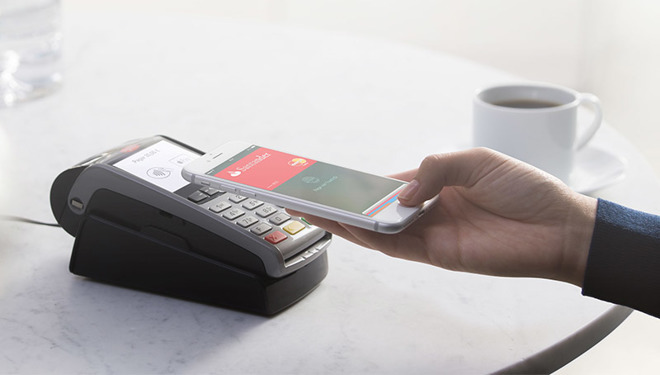 Earlier this month, the bank announced support for Apple Pay in the U.S. after bringing Apple Pay support to Spain last winter. "Collaborating with IBM will help us accelerate our digital transformation and improve the client experience to anticipate customer needs," stated Javier Cuenca, ‎the Managing Director of T&O Area Banco Santander. IBM "will work with Santander to quickly and efficiently design, develop and deploy multiple native iOS apps using Apple's modern programming language, Swift"
In its press release, IBM stated that it "will work with Santander to quickly and efficiently design, develop and deploy multiple native iOS apps using Apple's modern programming language, Swift." It also noted that the new apps "will be seamlessly integrated with Santander's enterprise systems, putting real-time data at the fingertips of employees." The partnership follows a report this winter of IBM collaborating with Japan Air Lines and Finnair to develop custom iOS apps designed to improve their aircraft maintenance, expedite repairs and reduce time spent on preparing and reporting technical issues. Following IBM's partnerships with airlines, Santander is leveraging IBM's app design and development model - Mobile at Scale - designed to support the rapid development and deployment of custom enterprise apps. The program, announced last fall, is designed to accelerate development and increase the efficiency of iOS apps, with a goal of reducing development costs and time by a quarter. 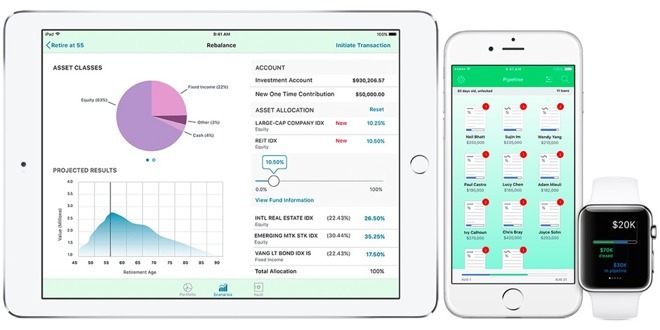 Following IBM's landmark 2014 partnership with Apple to develop custom apps for enterprise clients and sell Apple's iOS devices and support agreements, the global consulting company now claims the world's largest concentration of developers versed in Swift, as well as designers, integration experts and enterprise iOS consultants. Last October, IBM's MobileFirst partnership with Apple was effectively duplicated in a a parallel deal with Deloitte Consulting. Branded as EnterpriseNext, Apple's new deal with Deloitte is similarly intended to build new iOS apps and business processes using rapid prototyping. Deloitte Consulting's chief executive Janet Foutty stated of her company's clients, "we want to be able to have the most impact we can have in their digital transformation. "We continue to be really energized about the movement from personal to enterprise and love Apple's focus in this space." Deloitte, which is closely aligned with Apple's existing enterprise partners Cisco and SAP, says it plans to build an iOS consultancy practice "with a dedicated team of more than 5,000 strategic advisors, including iOS architects, developers and designers, to help businesses improve operations in retail, field services, recruiting, research and development, supply chain management and back-office systems."